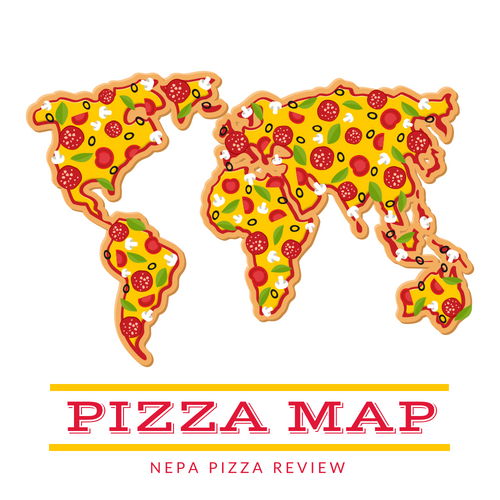 NEPA Pizza Madness 2015 is back after a successful kickoff in 2014. Although 2014, was everything I hoped it would be and more, there is always room for improvement to take things to the next level. This year, rather than choosing the entire bracket myself based on feedback from my readers who email, tweet, and message me throughout the year, I decided to make the process much more open, accessible, and transparent. Below are a list of the improvements that were implemented in 2015 to select the bracket that you all are voting on. New for 2015, pizzeria owners in Lackawanna and Luzerne County were provided more than 3 months to fill out an online form and register for a spot in the tournament. 26 business owners took advantage of this entry. Also new for 2015, customers, employees, and pizza fans from around the world were given a 2 month window to nominate their favorite pizzerias for consideration by the selection committee. In 2015, we created a panel of pizza experts and enthusiasts who weighed in on the best pizzerias in the area both over the internet and in person on "Selection Friday." Many more criteria debated by the committee! I hope that the NEPA Nation views these major changes to the bracket selection as a step forward in creating a fun and open tournament. We will never be able to please everyone, and we are sorry we are limited to only 64 teams, but that's the beauty of pizza in NEPA, we can debate passionately forever and we always will. I encourage you to voice your pizza opinions, because that's what makes the 570 pizza debate great - we all strongly believe in our favorite pizzas. Now get out there and vote for your favorites so they can advance and win!! !